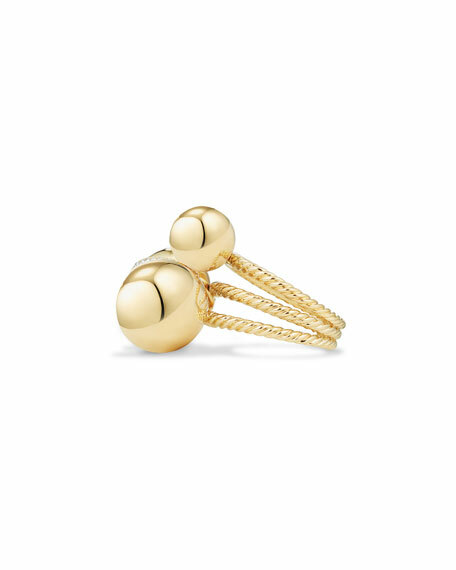 David Yurman "Solari" cluster ring in 18-karat yellow gold. 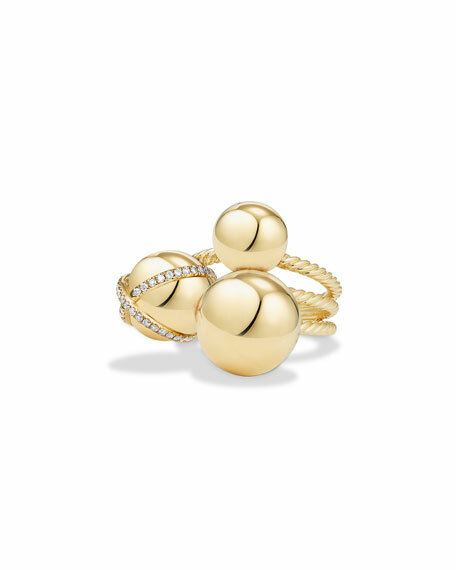 Cluster of three spheres, one with crisscross pave. 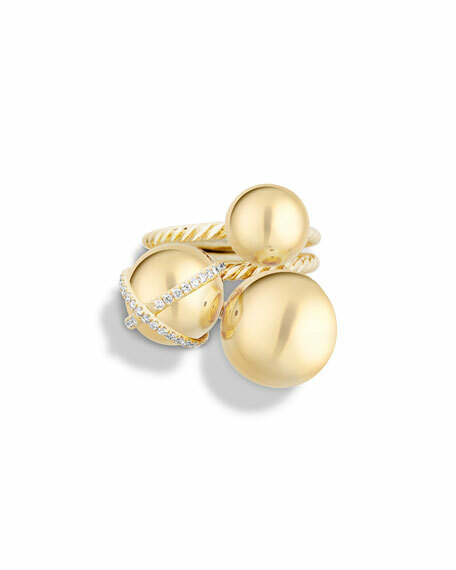 Pave diamonds, 0.13 total carat weight. Three bands with rope texture.